The video of the BBC 1 programme ‘The Big Questions’, that I attended on the 6th January 2013, is now uploaded on youtube. The topics that I participated in, were on Capitalism and a second on the Christian Holy Spirit. I originally was invited by the show’s researchers to provide a non-Christian perspective on the Christian claims regarding Christian spiritual experiences, however I was able to cut-in and make a comment on the more topical discussion of global Capitalism. 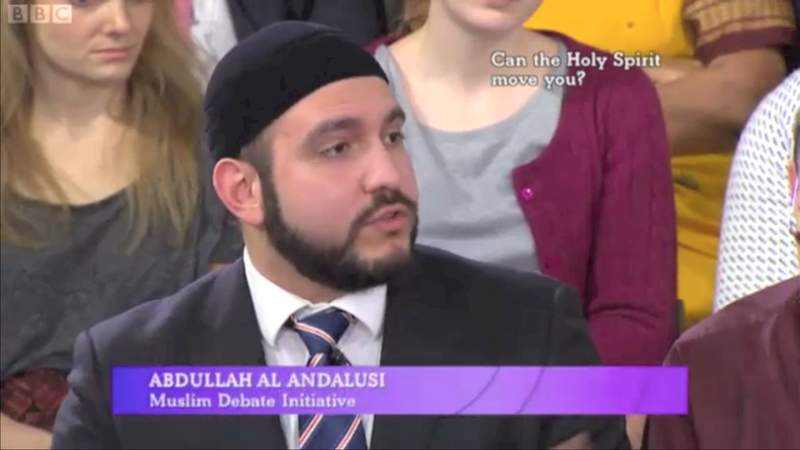 I was able to briefly present on national UK TV, the case for the Islamic economic system as a just and fair alternative to the unbalanced nature of the Capitalist system. I stressed the purpose of Economics should be the distribution of resources, not just the production of them (production is the remit of industry, science and technology – and is taken care of naturally by entrepreneurial people present in all societies). Some audience members applauded the suggested solution (and started to clap), but the host cut-in quickly to stop the discussion, and move onto the next topic, probably because of time-constraints. For the last topic, on whether the Christian Holy Spirit can enter people and ‘move them’ to perform miracles, I commented on the lack of uniqueness of Christian ecstatic experiences (which are similar to many other practices in other faiths) – and presented the more down to earth view of Islamic mainstream spiritual experience – the remembrance (dhikr) and appreciation of God (Shukr), and the attaining God-consciousness (Taqwa).